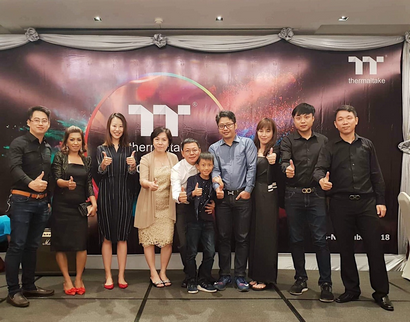 Yangon, Myanmar－November 27th, 2018－ Thermaltake is committed to fulfill the corporate mission of delivering the perfect user experience to customers around the globe. 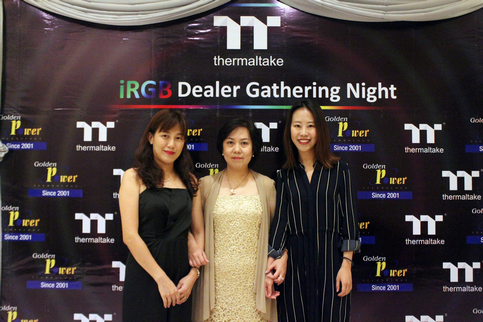 For the past eight years, Thermaltake has been planting roots in the Myanmar market, and has found great success partnering with GPT (Golden Power Technology), the largest dealer in Myanmar. 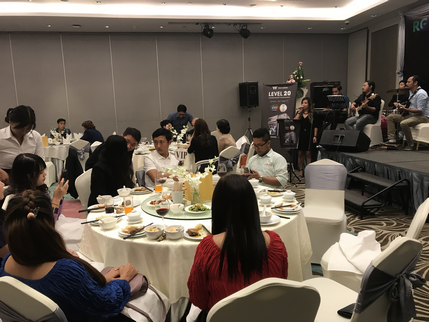 To celebrate and give thanks to our distributors, Thermaltake and GPT invited over 60 local distributors and media friends to attend the TT Outstanding Distributor Award Ceremony and New Product Launch. The Thermaltake’s 20th Anniversary chassis line including the Level 20, Level 20 GT, Level 20 VT, and Level 20 XT were showcased at the party. 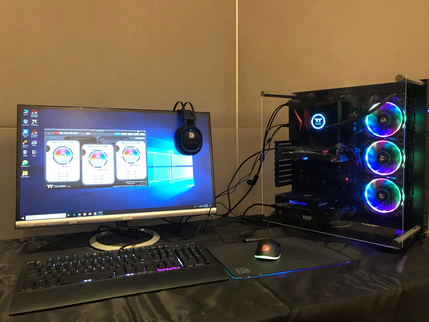 Besides new hardware, Thermaltake also presented the newest software innovation, the TT RGB PLUS Ecosystem. The TT RGB PLUS Ecosystem is an intelligent lighting system that allows users to sync all TT RGB PLUS products: Floe Riing, Riing PLUS LED RGB Fan, Riing Trio LED RGB Fan, X1 RGB Gaming Keyboard, SHOCK PRO RGB 7.1 Gaming Headset, Draconem RGB Mouse pad, and many more. Globalization starts with a strong local community. Thermaltake will continue to invest in emerging markets, and bring TT to each customer from all corners of the world. 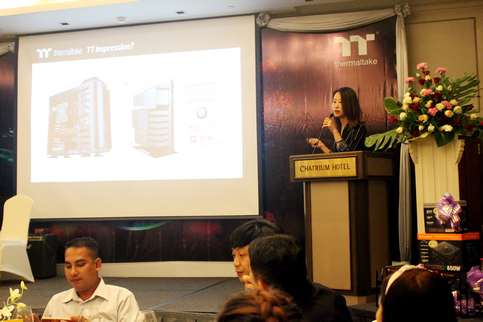 Thermaltake is always looking to “Deliver the Perfect User Experience”. The challenging, creative and competitive features of the enterprise offer an exciting and fascinating user experience that can be shared by everyone, while allowing users to transcend themselves in terms of function and potential. We have incorporated a composite marketing system by making branch offices and regional distributors the distribution channel. They also act as the technical support and service center to provide direct customer support. The Level 20 Full-Tower Chassis, Level 20 GT RGB Plus Edition Full-Tower Chassis, Level 20 XT Cube Chassis and Level 20 VT Micro Chassis will be on display. Compatible with the latest PC hardware, AIO and DIY liquid cooling solutions, the Level 20 Series Chassis deliver not just an unprecedented design but also innovative performance. TT RGB PLUS Ecosystem is the intelligent lighting system for PCs that combines the most advanced addressable LED lighting with Thermaltake’s patented TT RGB PLUS Software, Razor Chroma, and Amazon Alexa Voice Service. TT RGB PLUS ecosystem provides nearly unlimited possibilities for playing with colors, synchronizing lights to games, music, CPU temperatures, Razer Chroma supported gaming peripherals or other TT RGB PLUS products, including case fans, CPU/VGA waterblocks, AIO CPU coolers, PSUs, LED strips, gaming keyboards, headsets, mice and mouse pads. The patented TT RGB PLUS software allows users to change the light modes, colors, speeds, brightness, fan speeds via TT AI Voice Control and Amazon Alexa Voice Service.